Im going to preface this post by giving a disclaimer. There may be a lot of typos and grammatical errors as I’m typing through tears. I didn’t realize until this morning that I have been holding my breath for the last four months. I felt great, but there was always that “What if” lingering somewhere down deep. What if we went through this whole thing for nothing?? What if I wasted $50,000 for us to get treated and it didn’t work?? What if all of those nights missing my two youngest while we were oceans apart were unnecessary?? What if the countless IVs and putting my body through so much at the klinik was pointless?? I would get the emails and messages from readers telling me that it was the placebo effect and I wasn’t really better, the lyme was still there. I’d hear about all the reasons people didn’t think hyperthermia at the Klinik would work. I would brush those comments off because I KNEW I felt better. I didn’t realize until this morning that they had lingered somewhere around me. Well guess what? Those naysayers were WRONG!!! That money spent was WORTH it!!!! Having to leave my kids for two and a half weeks and travel across the world to a foreign country was NECESSARY!!!! The pain, the pure exhaustion, heartache were all WORTH it!!!!!!! I can finally breathe again. I just left my doctor’s office with my test results. I get to type the words that I have been waiting a very long time to be able to say. What a journey this has been!! I am sure I will have more to say once I gather my composure, but I wanted to share this news as soon as I got it. The relief and joy I feel right now is indescribable. Chloe gets her results back next week! Shannon, I have been following you and I am sooooooooo excited for you and your family. I am very seriously considering making the trip to Germany. I have just printed off the list of required paperwork. I am new in this journey. 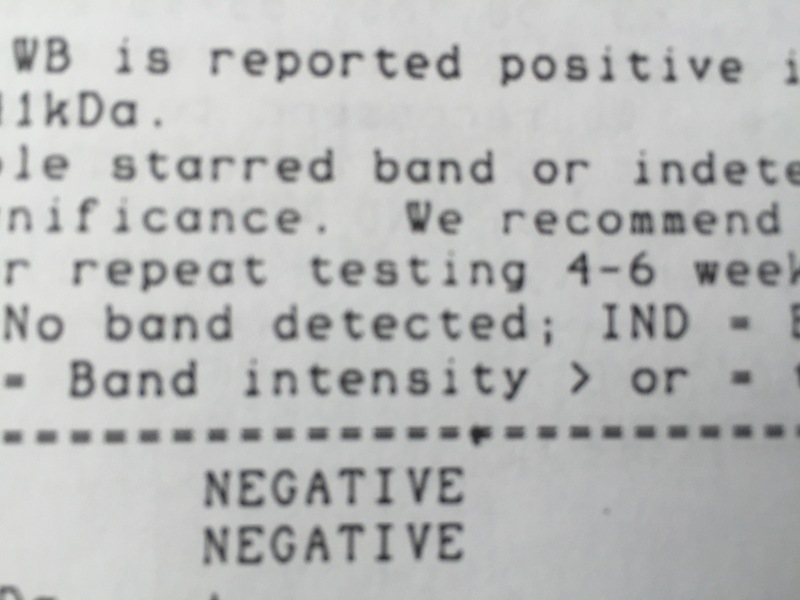 I have been sick for almost 10 years and finally got my lyme’s results about 4 weeks ago. We have already spent over $70K and have not even begun to fight lyme’s. I have so many questions. Would you be willing to talk to me? I am very curious about the protocol after you returned home. You did mention lots of pills. I have been doing lot’s of pills for a very long time. Please know that Chloe is in my prayers. Yes I’m absolutely happy to talk with you!!! Here is my phone number 406-465-7862 Feel free to call and we can chat!! !